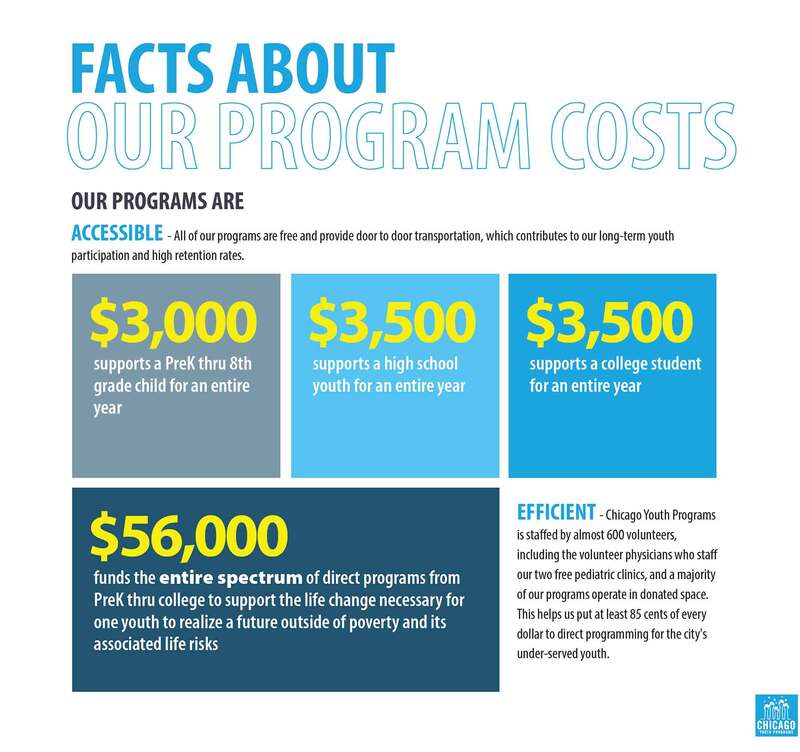 Blue Canvas helps CYP share their cause, goals and financial status in impactful and cost conscientious ways. 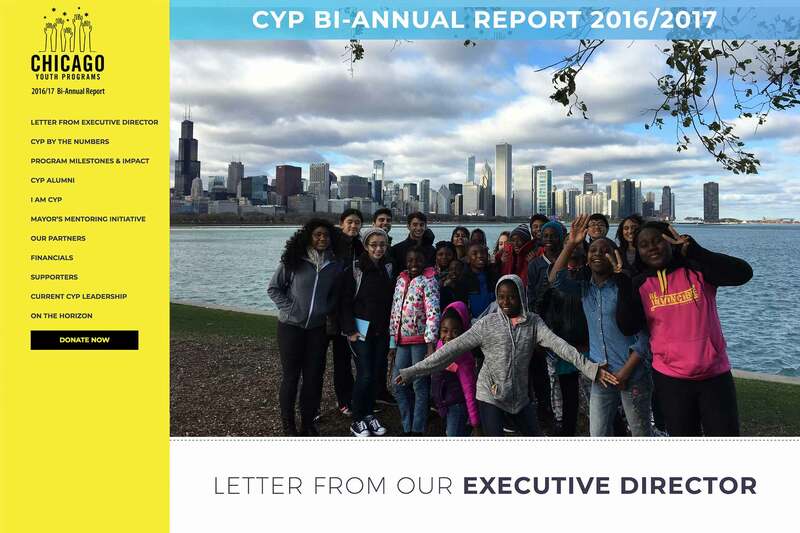 We have been working with CYP since 2015, with the kick-off of the current website. 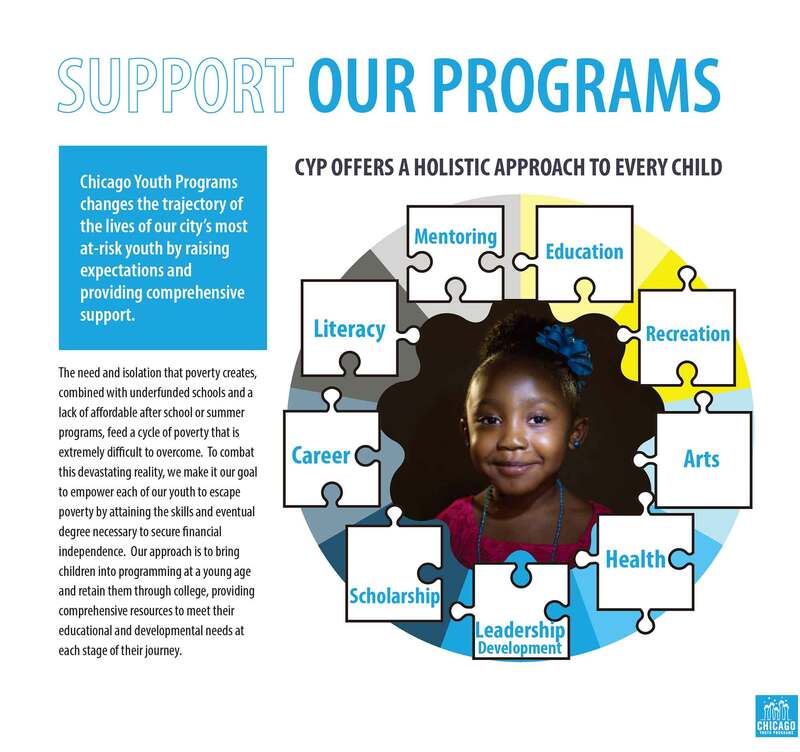 Since then we’ve assisted CYP with their annual appeals, annual reports, yearly gala invitations, digital integrations, and marketing materials. 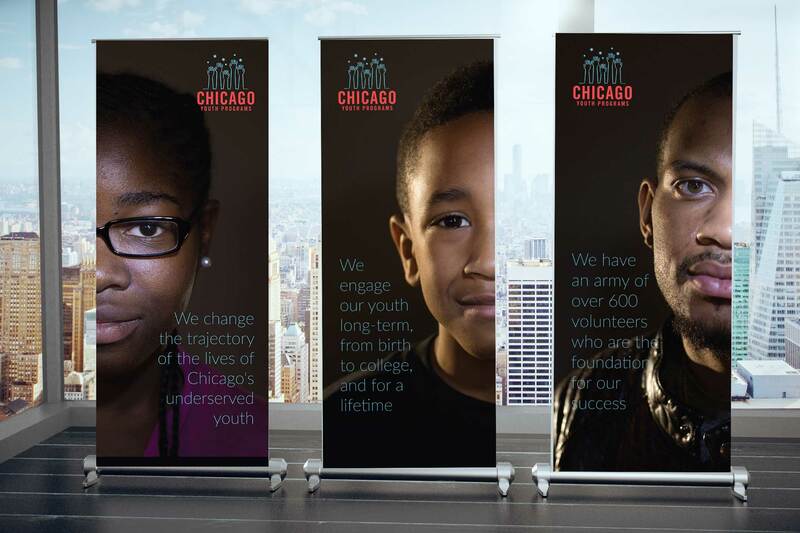 The Annual Reports are continually evolving, from a printed piece in 2016 to an interactive PDF in 2017 to the launch of a stand alone website in 2018.